Taxi, bus, van and coach passengers transfer in Italy cities, airports, cruise ports. Have you been searching for Italy transfers from airports? We offer a personal driver as well as limo service and are the top choice amongst European travelers who want a taxi from airport to city center of Italy. 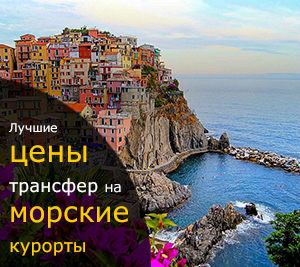 Our company representatives speak English, Italian as well as Russian and are more than happy to help you and is the leading transfers company in Italy. We can take you anywhere you need to go using our fleet of high-class and elegant vehicles that are comfortable and very clean. 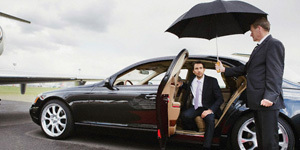 We offer our services to business people as well as travellers and provide a meet and greet service at major airports. Our transfer services are designated for giving you an elegant experience that will be comfortable, reliable and safe whether you are on vacation or on a business trip. As we stated earlier we can have our drivers arrive at the airport and provide you with a meet and greet service with a sign featuring your name. Our company, KnopkaTransfer is the leading service in Europe. We can offer you a personal driver or limo service if you prefer and can transfer you where you need to go to Italy. We can provide you with a taxi from airport to city center and offer economy rates. We have a high-class fleet of vehicles and professional drivers who are courteous and friendly. You can arrange to have us take you to your destination ahead of time by contacting us on our website or through our toll-free phone number. If you need a personal driver or Italy transfers from airports let KnopkaTransfer be your first choice. If you need a personal chauffeur in Italy or a transfer from the airport in Italy we can satisfy your needs. Look no further than our company. Our rates are incredibly affordable and we offer competitive rates on limo services and are a fully functional transfers company in Italy. We are a leading company with many different offices across Europe and our comfortable vehicles will give you a feeling of elegance and royalty. You can reserve a personal driver or call us ahead of time for a taxi from the airport to city center. You are only limited by your imagination on where we can take you across Italy. You can easily reserve a limo service or book us ahead of time as your choice for a transfers company in Italy. If you need a limo service we can offer you that too. All you have to do is talk to one of our friendly customer support representatives who will be more than pleased to help you with your transfer reservations. We always meet our client's needs and are rated #1 across Europe. Contact us today to book your transportation.